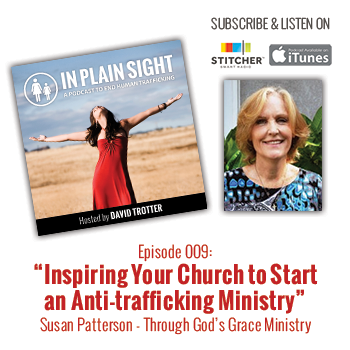 Susan Patterson is the Director of Through God’s Grace Ministry and the author of “How You Can Fight Human Trafficking: Over 50 Ways to Join the Fight”. She speaks to thousands of people each year, raising awareness among faith communities (particularly Catholic parishes) as to how they can fight human trafficking. Simple steps to start an anti-trafficking ministry in your church. Practical ways to help your church take action. Common challenges that churches face as they start an anti-trafficking ministry.